Tired of seeing movies made for children, teens, or urban hipsters? 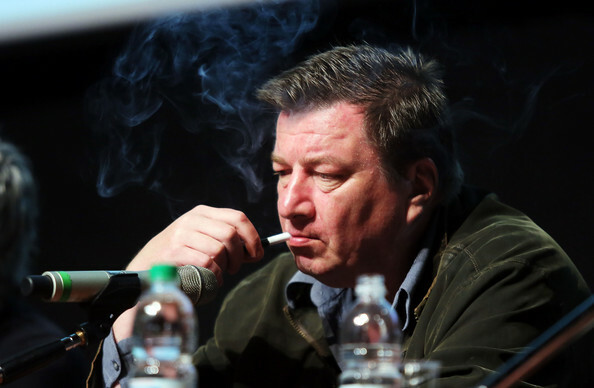 Then sink into the world of Aki Kaurismaki, where people smoke, drink, listen to old-fashioned rock ‘n’ roll, and speak only when they need to. Kaurismaki, Finland’s finest export, is a master of subdued melodrama and wonderful deadpan humor. He’s thankfully been able to keep making “small movies” (the best kind) on a regular basis. His latest, The Other Side of Hope, opening today in NYC, fits in with his terrific preceding film, Le Havre (2011), as its plot revolves around immigration in Europe and counteracts its grim exterior with a warm heart and lovingly jaded humor. Not one to produce didactic works, Kaurismaki seems to have gravitated to stories about immigrants because they dwell in the same world as his working-class Finns — they are lonely yet belong to a misfit community, live for their paychecks, dream of a better life, and many are prone to smoke, drink, and listen to their favorite music in bars and restaurants. One immigrant character here sums it up when he notes that immigrants are “invisible” to the average person (as are working-class people to the upper crust). The Other Side of Hope offers us one such gent, Khaled (Sherwan Haji), a Syrian refugee who lands in Finland by chance, moving westward in his journey. After he flees a “reception center” (where immigrants find out whether or not they can stay in Finland or will be deported), he gets a job at a failing restaurant run by an ex-traveling salesman, Wikstrom (Sakari Kuosmanen). The restaurant workers aid Khaled in trying to find his sister, who has been missing since she left Syria. 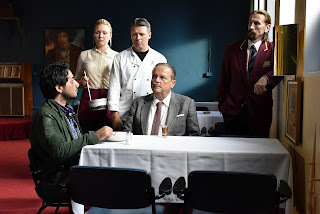 Perhaps the most engaging thing about Hope is that Kaurismaki doesn’t ignore the real-life peril his characters face but also adds whimsical fairy tale aspects to his sagas of “marginal” people. Here Khaled is at one point nearly beaten to death by skinheads but is saved by a rather unexpected deus ex machina. Kaurismaki is one of the truly great anti-Spielbergian filmmakers who presents us with a somewhat realistic vision of the world, but then does allow his characters a hint of escape from the harrowing side of everyday life. 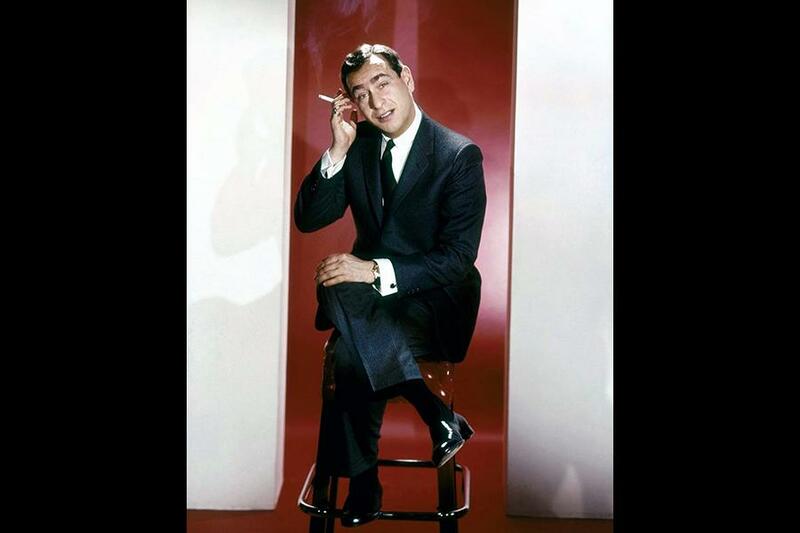 His films are structured like melodrama but have the tone and rhythms of comedy. The struggles of the characters in the restaurant are wonderfully limned, as they change the cuisine and décor of the place several times to see if they can attract a clientele. The best incarnation is their time as a Japanese restaurant using local products (including sushi made from herring). The performers are all perfectly cast and balance the comedy and drama very well. 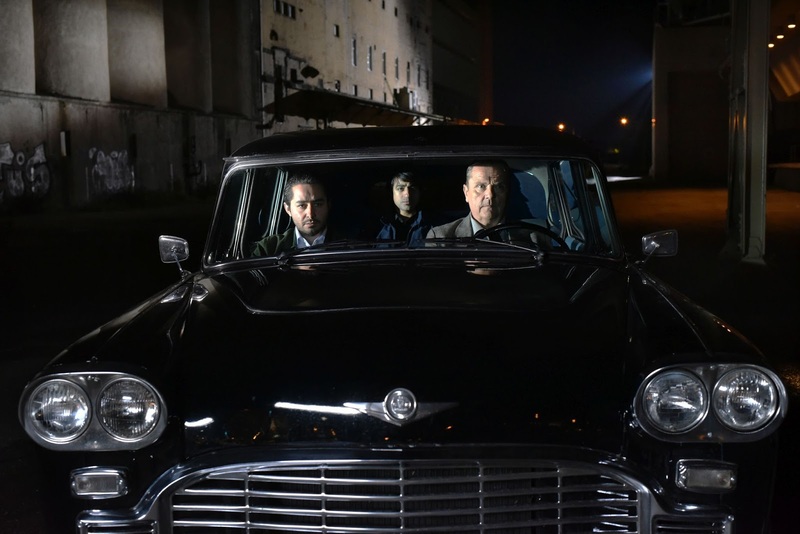 They bring Kaurismaki’s bleak-seeming but very funny script to life, while we hear the characters’ favorite music, ranging from Syrian folk tunes to classic rock ‘n’ roll. The leisurely pacing and absence of any kind of over-the-top action may turn some viewers off. But the low-key brilliance of Kaurismaki’s work proves that you don’t need CGI or unsubtle action or comedy to make a successful movie — just a tight script, great performances, and a seemingly cranky but still idealistic artist behind the camera. "Do you have the cards?" It's that time, again, folks! Let us celebrate this grand country of ours with the one thing that can unite every faction -- young and old, male and female, white and black (and every other color in the spectrum), persons with "this" sexual preference (and/or gender identity) and people with "that" sexual preference (and/or gender identity). The memory of Robert Vaughn can free us. 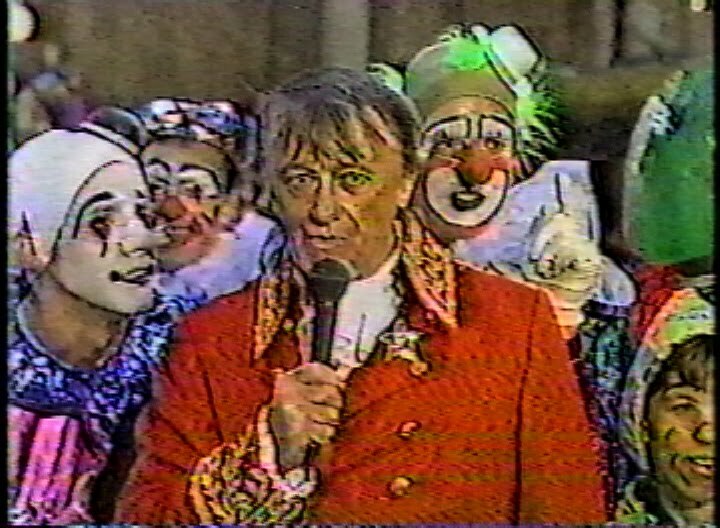 Because it's always nice to see a man mocked by clowns as he reads this country's Constitution. Happy Turkey Day! And if you want to "read more about it," check out my post from last Thanksgiving about Vaughn's many legal ads. It can be found here. Champetier shoots with Leos Carax. I’m always happy to speak with someone whose work I’ve admired for a long time. In the case of Caroline Champetier, I knew the work she had done and had seen her name on the credits of many films, but had never “added up” exactly how important her contributions have been to French cinema over the last 35 years. 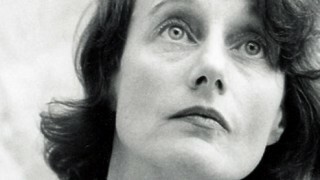 I interviewed her when she was in NYC for a mini-retro of her work at the Alliance Francaise (FIAF) in October. I was able to move through her career quite well in the time we were allotted but, as I am editing the shows that will come from this interview (I’m hoping to do three), I am reminded of just how many great filmmakers she has collaborated with. She has shot film (and video) for Akerman, Straub/Huillet, Godard, Rivette, Jean Eustache, Jacques Doillon, Benoit Jacquot, Leos Carax, Anne Fontaine, and Ms. Champetier herself. Those were the individuals I discussed with her in the interview; I chose to leave out her work with Claude Lanzmann and Xavier Beauvois (you can’t fit everything in in one interview — especially not a giant work like Shoah!). Below are two segments from the interview that are particularly enjoyable. The first is about her time shooting Holy Motors with Carax — in particular her shooting the feature exclusively at night on high-def video, and the amazing “intermission” scene featuring a killer band playing in a church (with our hero Denis Lavant on accordion). The second clip is about her time with Godard, doting on his “Uncle Jean” comedic alter-ego and his reputation (among many critics and filmmakers — Hal Hartley, just to throw out one name) as a “master of lighting.” Champetier takes issue with this (not disputing his mastery, but more the title — since the cinematographer lights the scenes….). The interview will air in the coming weeks on the Funhouse. Stay tuned! I avoid promoting free streams of copyrighted movies on this blog, but do spotlight the posting of films that are “MIA” (read: no DVD [or VHS] release in the U.S, and very little chance there will be one). 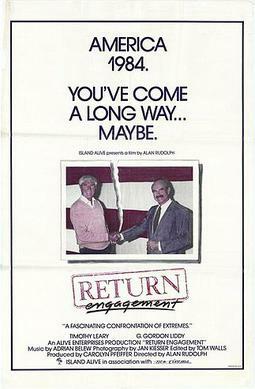 Such is the case with Alan Rudolph's Return Engagement (1983). It's Rudolph's only documentary and is not essential viewing – if you're unfamiliar with his work, check out his films Choose Me, Trouble in Mind, or Afterglow first. 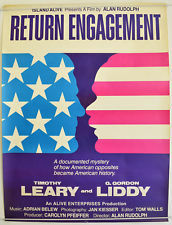 But if you already know his work, or you're interested in the lives and public personas of Timothy Leary and G. Gordon Liddy, the film is definitely worth a look. 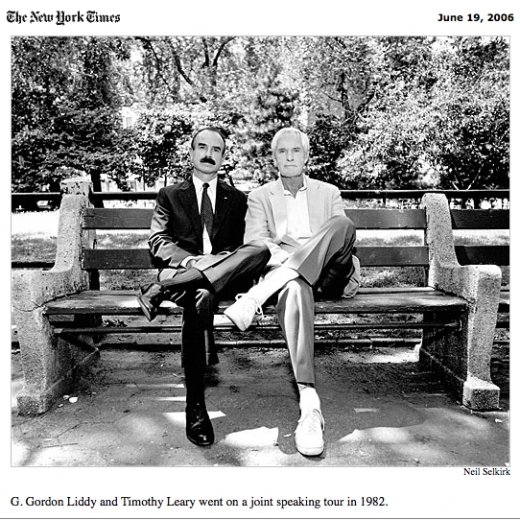 It was shot when Leary and Liddy became a sort of “comedy team” on the lecture circuit, cordially “debating” each other in various cities during the early Eighties. What we see of their stage encounter in Return Engagement indicates that their speeches were learned by heart and their disagreements over various issues were most likely repeated verbatim on every stop on the tour. Rudolph is a master of the “small film” and understated emotion, so it's fascinating to see him use a similarly personal approach for a documentary. 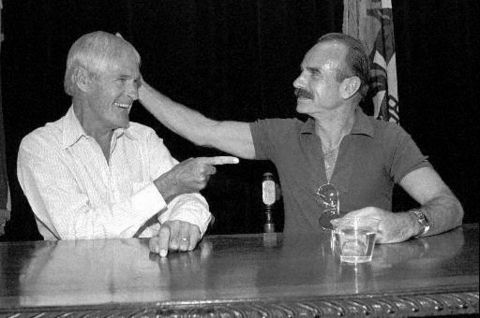 The only problem here is that Leary and Liddy had honed their personas so well by the Eighties that they were close to being cartoon characters: the kooky, mellow-as-anything, Sixties acid guru and the equally kooky, hyper-macho, right-wing extremist. “There is no there there” with either man. During a scene where Rudolph films the men with their wives, one gets the sense that, while the scene isn't exactly staged, the couples have still worked out their “roles” to an almost unnerving degree. The positive aspect of the film is its time capsule quality. Liddy is filmed working out at the gym, while Leary – who declares himself a “futurist” above all – is seen typing away on a word processor, extolling the virtues of computers as he works on the manuscript of his latest book. To further situate where the American public was in '83, the film's opening scene has people on the street being asked what they know about the two men. Those interviewed seem to be “remembering” two figures from a somewhat distant (but actually somewhat recent) past. Perhaps the film would've worked better if Rudolph or his surrogate, interviewer (and event moderator) Carole Hemingway, had challenged both men more about the depth of their beliefs; as it stands, she asks Leary about his “show-biz” aspect and Liddy about his fondness for talking about murder, but little is revealed in the process. Rudolph's assignment in this case was to film the debate and add some colorful moments around the event, so one can't expect very much. According to a 2013 interview with Rudolph, he looks back at the film as a “strangely satisfying experience. It took a few days to film and a long time to edit and nothing was written other than necessary information.” He refers to the debate as a “dog-and-pony show” and notes that he made the film for producer Carolyn Pfeiffer to basically work his way toward making a fiction film with “complete independence” in the shooting and editing (the result was Choose Me). He also reveals in the same interview that “At the ‘breakfast with spouses’ segment, Mrs. Liddy showed up with a fresh black eye under her sunglasses.” You can see the bruise in the film – some makeup was applied, but it's still visible. A few moments in the “debate” are galvanizing, as when Liddy casually discusses how murder factors into the running of the U.S. government, and when Leary is confronted by an angry blind man who claims his disability was caused by Leary's advocacy of hallucinogens (as kids on LSD shot this gentleman, blinding him). 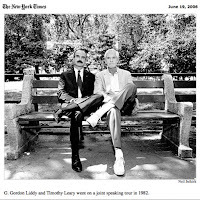 For the most part, though, one gets the impression one is watching a fairly “scripted” bit of stagecraft – Leary in particular walks back and forth on the stage, while the more stolid Liddy stays planted where he is when it's his turn to stand and talk. Rudolph wisely includes at the end of the picture long scenes from high school classroom sessions run individually by Liddy and Leary. Both men come off far better in these sequences than they do onstage. They situate themselves historically for the students and defend themselves against some very pointed questions – by comparison, the debate comes off as the publicity stunt it most surely was. In closing, though, I must mention the film's most jarring scene, which is a cocktail party held in honor of the two men early on in the film. The attendees at the party include Geraldo Rivera, Marjoe Gortner, Maria Shriver, Arnold Schwarzenegger, Harry Nilsson, and Cheech Marin (!). At one point, Leary wonders where “Bob” is. When asked why he cares so much, the perpetually turned-on guru replies, “Bob got the cocaine.” One wonders if Rudolph has any outtakes from this blissfully tacky gathering…. The film can be found two places online. The first is on YouTube in three parts. The first part of the film is here at 8:41. In both this posting and the one on the archive.org site, the film follows two episodes that Leary did with Bob Costas (this is apparently because these items were on the first volume of a series of VHS tapes featuring Leary movie and TV appearances). The film begins at 41:49 on the archive.org posting, which is embedded below. Full disclosure: I run the Alan Rudolph fan page on Facebook. "Like" the page if you're a fan of Rudolph's work. It is located at this link.